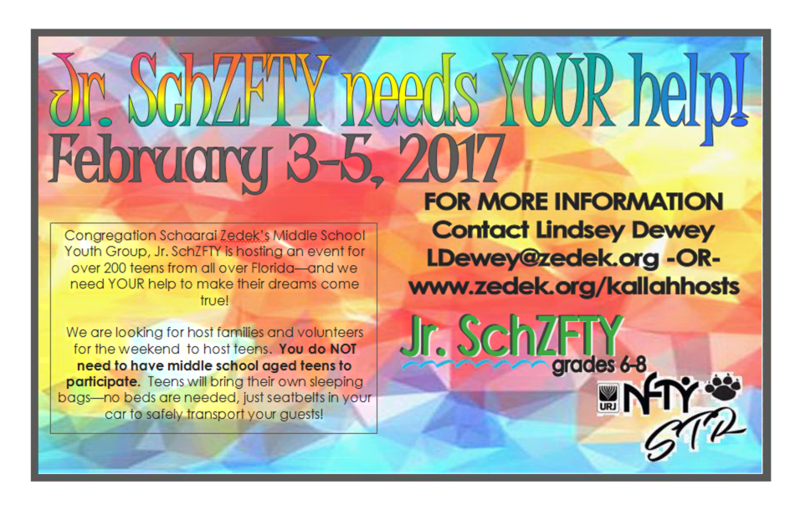 Congregation Schaarai Zedek’s Middle School Youth Group, Jr. SchZFTY is hosting an event for over 200 teens from all over Florida—and we need YOUR help to make their dreams come true! We are looking for host families and volunteers for the weekend to host teens. You do NOT need to have middle school aged teens to participate. Teens will bring their own sleeping bags—no beds are needed, just seat belts in your car to safely transport your guests!